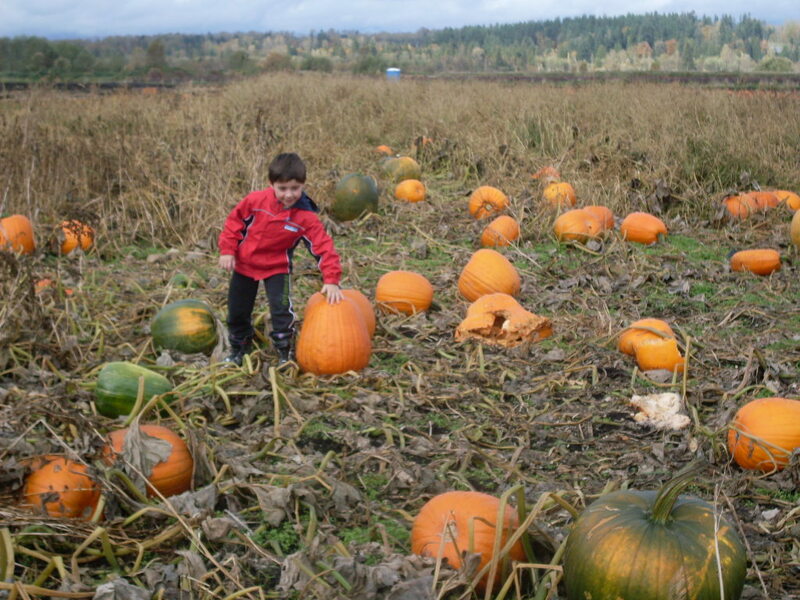 On choosing a pumpkin if you are six. 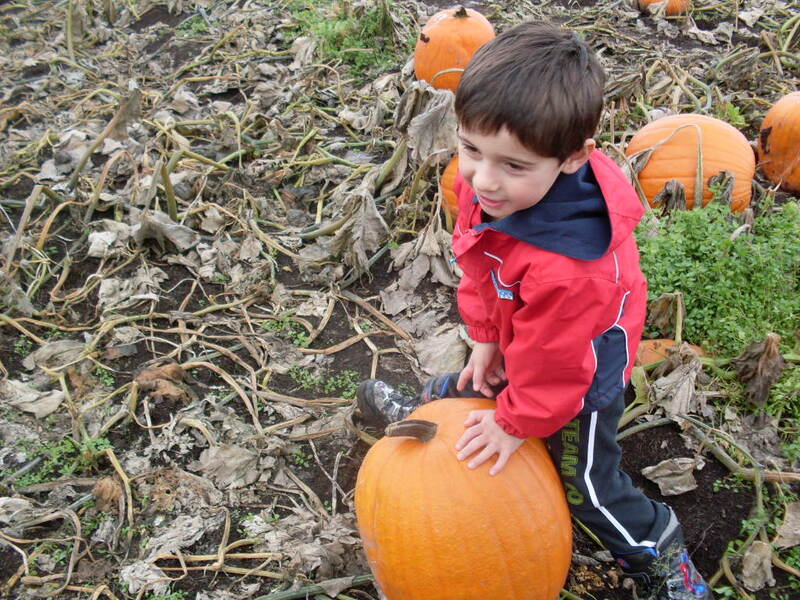 If you are six, the pumpkin you choose for your jack-o-lantern is extremely important. You must not choose the wrong pumpkin, but you are lucky, because there is a perfect pumpkin out there for you, and if you are patient you will find it. 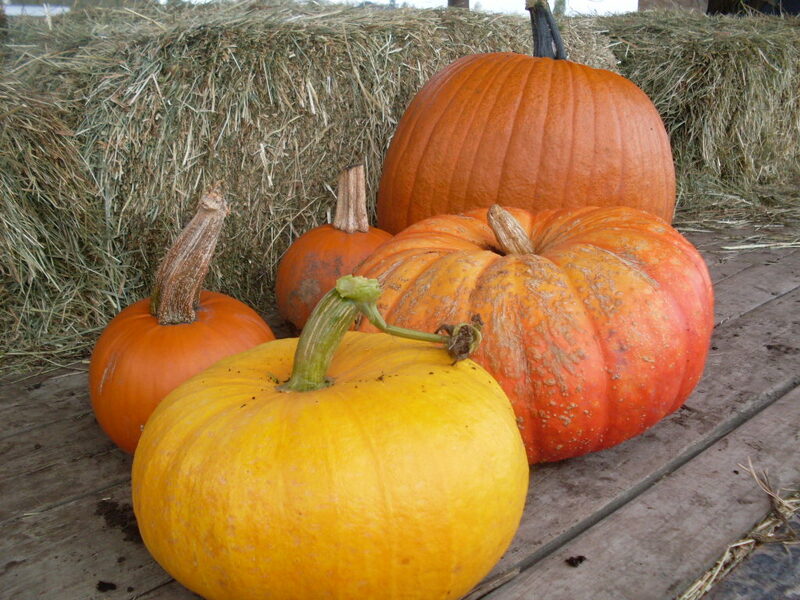 You are not of the unfortunate age yet where you have to buy your own pumpkin, so rest assured that when you find your perfect pumpkin, it will be yours. 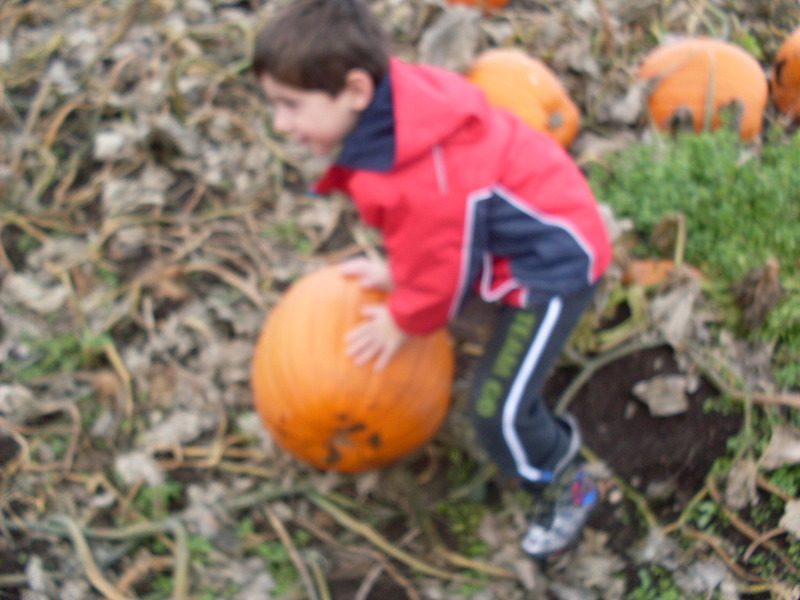 Also, at six you may depend on your charm if your arms are too small to carry your perfect pumpkin and you need help. At 26, your toothless grin will be significantly less adorable. This is perhaps the only wisdom I can offer confidently to anyone. 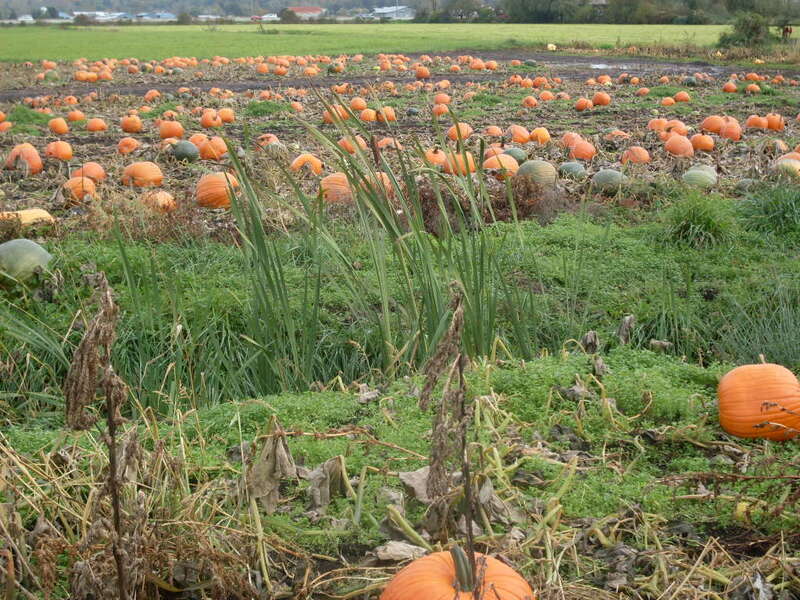 There will be some very good pumpkins. There will be more bad ones, and some that look good from far away on one side but when you get close they will turn out to be rotten and squished. You will think a particular pumpkin is perfect, but it won’t be quite right when you think about it, once you start imagining the face you’ll carve into its flatter side. 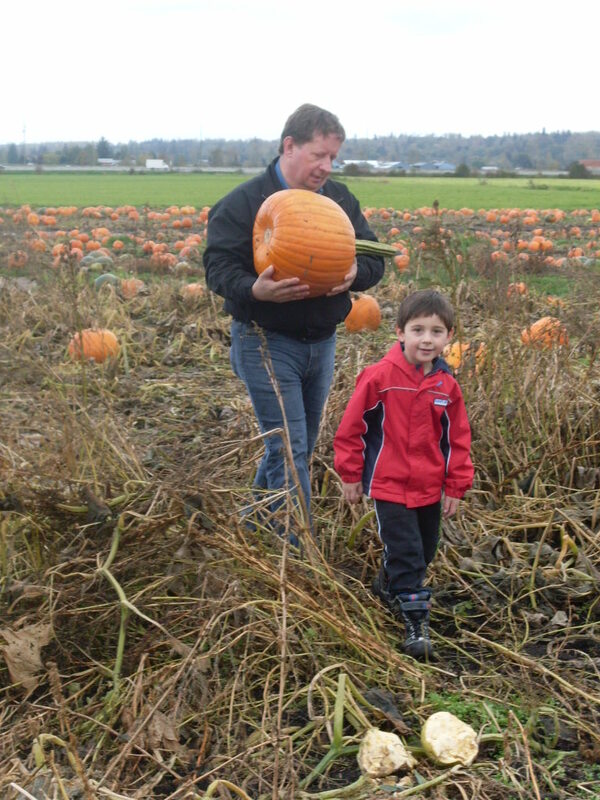 Someone might suggest something boring and practical to you, like picking a pumpkin you can carry yourself. 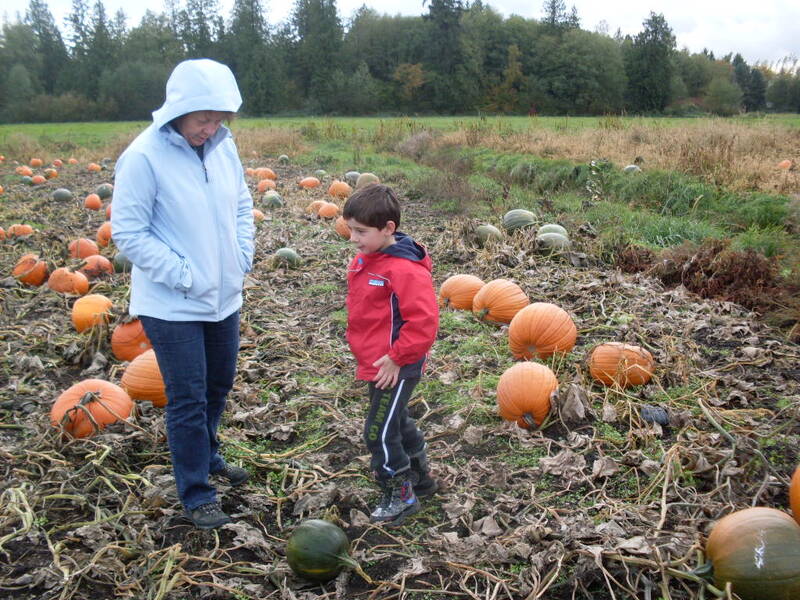 She might even suggest that a green pumpkin is good enough, and maybe even sort of nice if you think about it. But you know better. That green pumpkin isn’t nice. It’s green. And who wants to settle for the convenient pumpkin, if you could even call it that, because is there anything convenient about an unsuitable pumpkin? That is not what jack-o-lanterns are about. 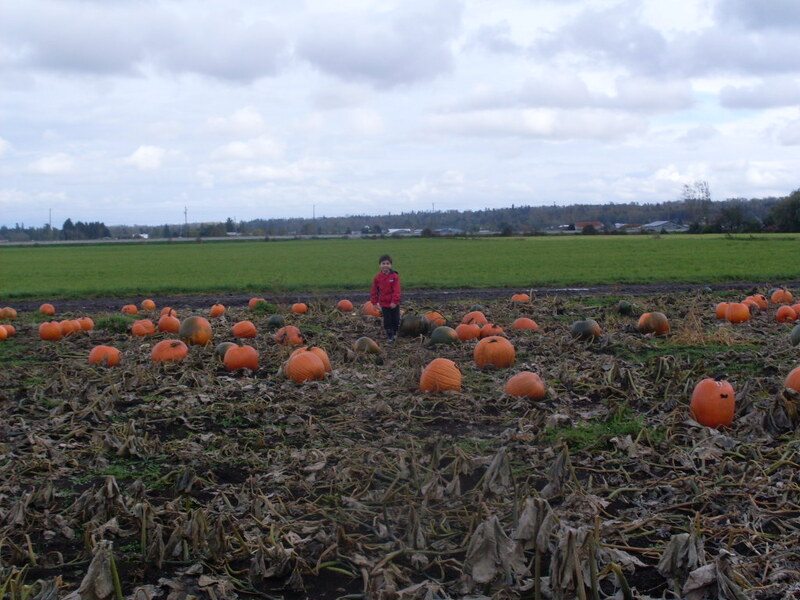 So you will wander off, on your own, with the hope that your perfect pumpkin is in another place. And then you’ll think that you’ve found it. 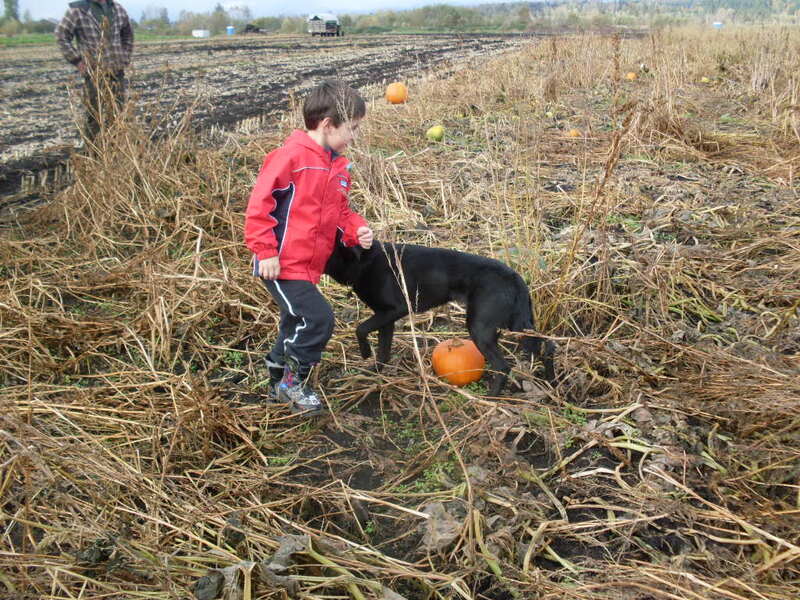 You will be surprised to discover that pumpkin rolling isn’t as easy as you thought it would be, and that just out of your line of sight there is a ditch and once you get there, you will be dismayed to discover that you cannot cross with your pumpkin. It wasn’t the right pumpkin, though. You just thought it was, but don’t worry. 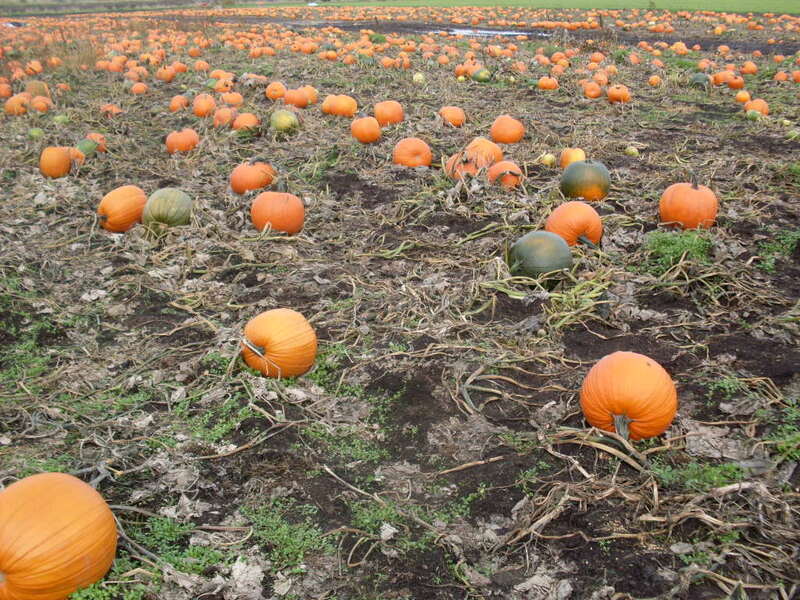 There are a lot of other pumpkins. Better pumpkins, even. The most important thing, though, is that you are six. 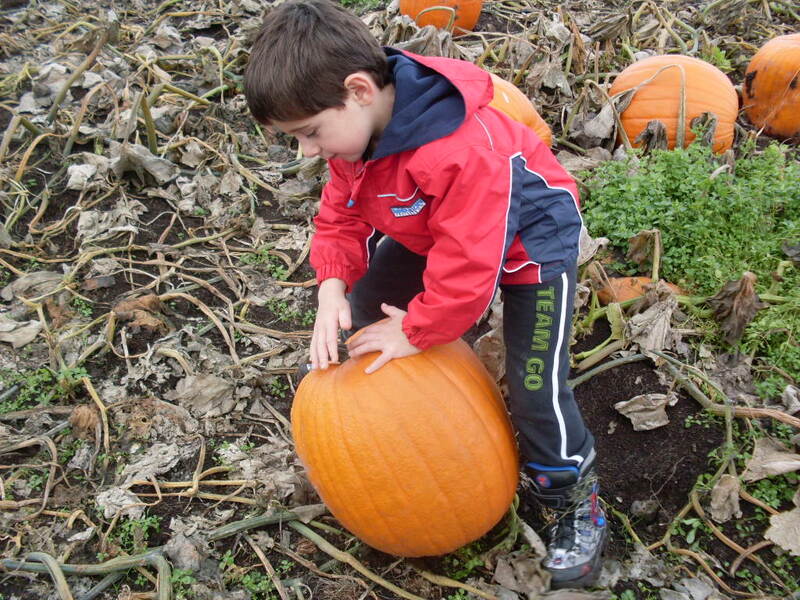 When you are six, someone will look after you, and when you find your perfect pumpkin, your enthusiasm will be infectious. You will talk about the jack-o-lantern you will carve, and you and everyone else will know that you made the exact right decision. Because ultimately, you did. 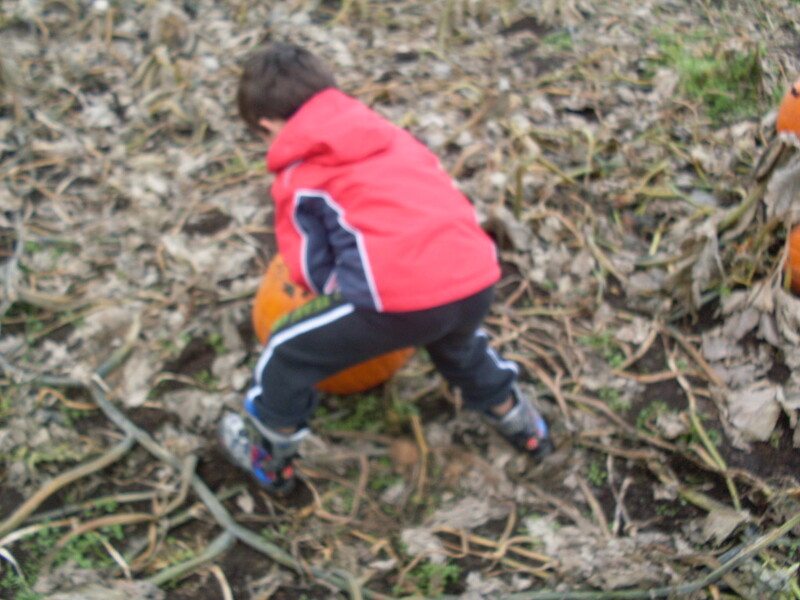 That is the thing about six-year-olds and pumpkins. There are some things they just know. < Previous Pumpkin and red lentil dahl. Next > Too many things! So cute! sounds like a fun day! I’m going to re-post this next halloween instead of having to write the perfect post myself. love it.